By Jay Easterbrook, Divetech, Cobalt Coast Dive Resort. 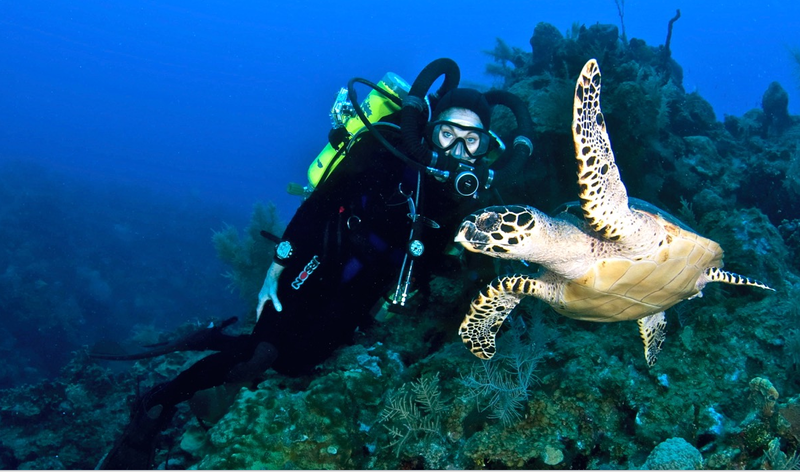 Divetech in Grand Cayman has been a pioneer in Technical diving in the Cayman Islands for 20 years. Divetech has a half day rebreather experience years the worlds largest rebreather event called “Innerspace” with many rebreather manufacturers supporting this amazing event for beginners through expedition courses. Recreational divers with a nitrox certification can start with a recreational rebreather course which keeps them in the same recreational diving depth limits but gives them long dive profiles with no decompression obligation. This course is awesome for divers that have problems with air consumption on open circuit. The photographers love that marine life come right up to your camera because of no bubbles and I love rebreathers because I do not get cold on long profiles because on a rebreather you are breathing warm moist air. Technical Diving does not have to be technical. Just the next course to advance your diving knowledge and extend your bottom time with the silence of no bubble diving. It is about the “Sport” of diving.